When I first read the recipe for sorbet from this episode of Good Eats, my first thought was that it might be difficult to find key lime preserves in eastern Washington. 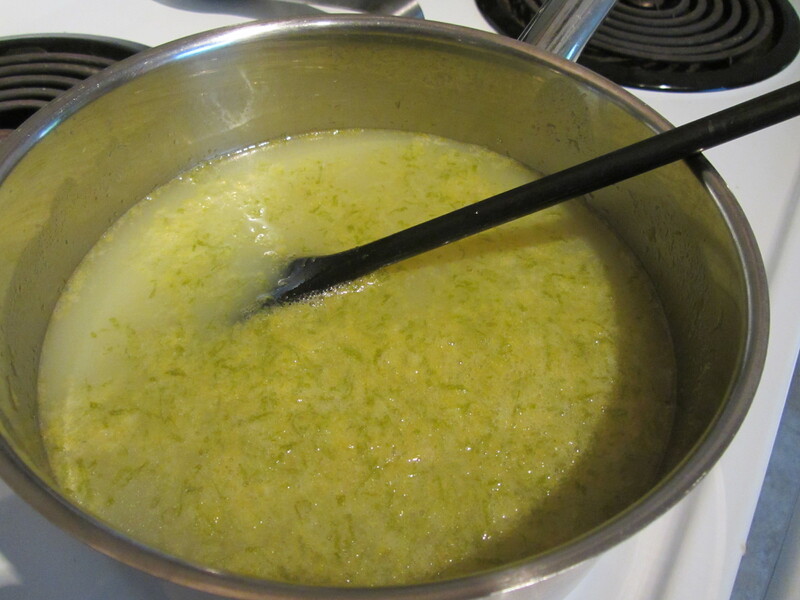 Upon reading the recipe reviews online, I discovered that many people had difficulty finding key lime preserves, necessitating an ingredient substitution. 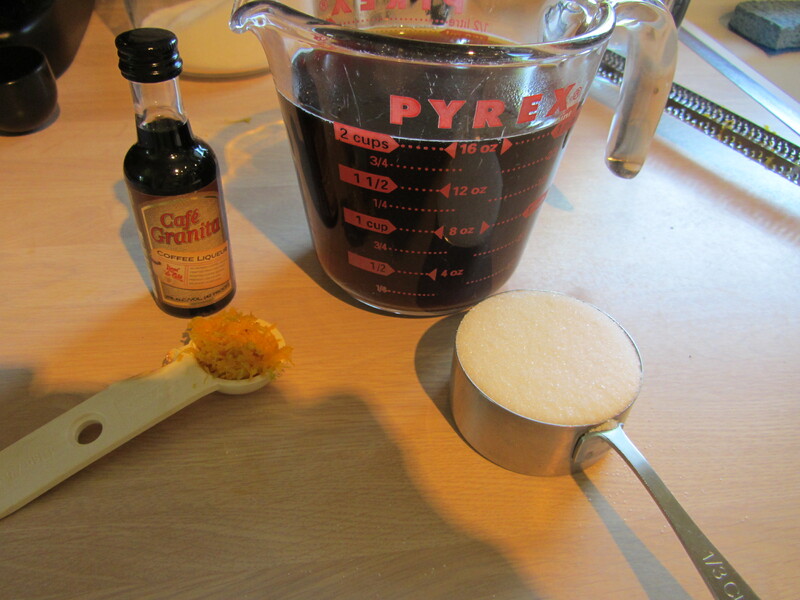 One recipe reviewer mentioned having used lime curd successfully in lieu of the preserves, so that is the route I chose to go in. Now, I realize that lime curd is drastically different from lime preserves, so I was a bit nervous about how my sorbet would turn out. 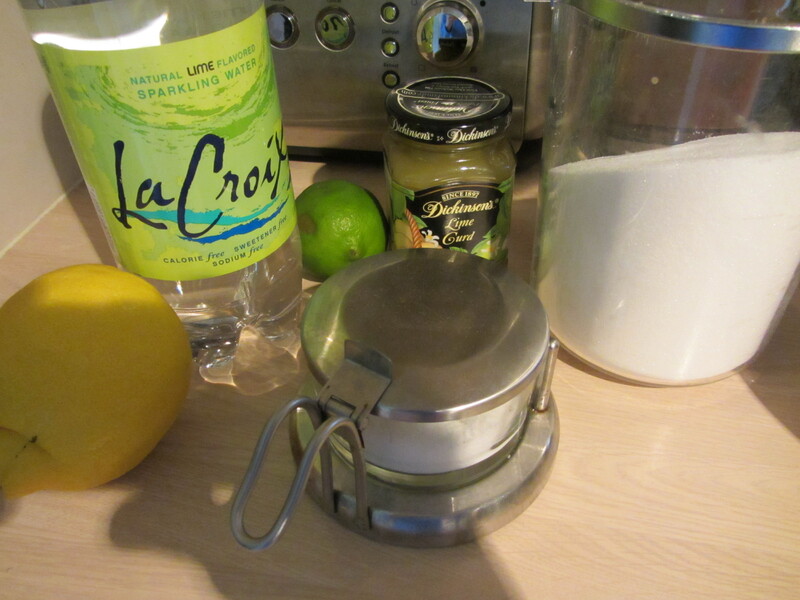 I gathered my ingredients, combining my sugar, lime curd, and lime sparkling water on the stove. 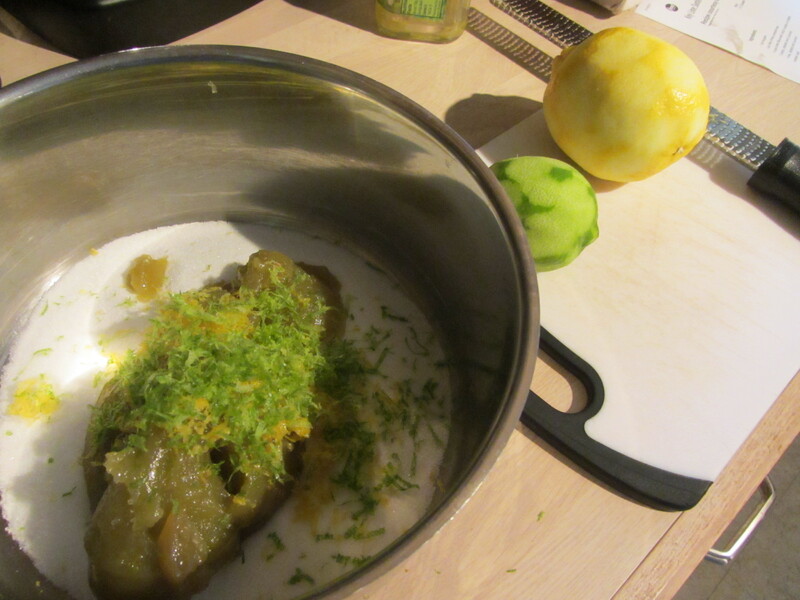 Sugar, lime curd, lime & lemon zest, and salt. 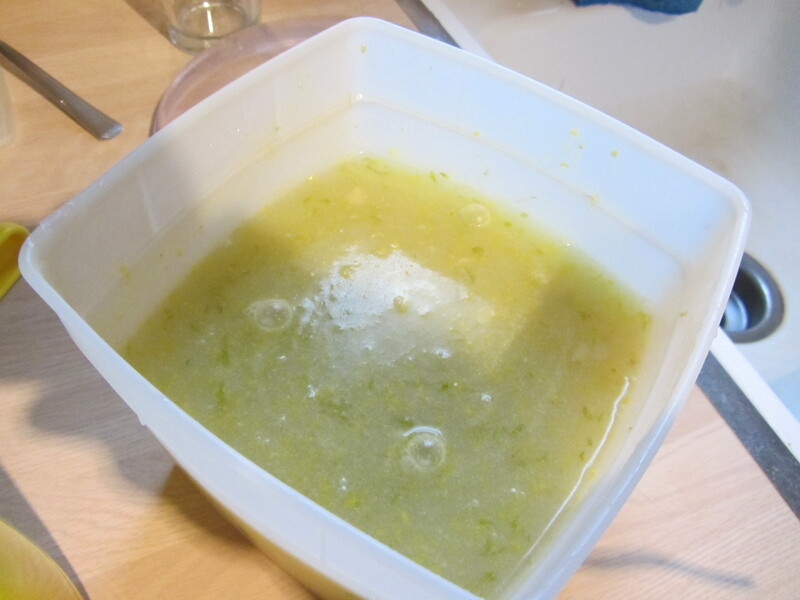 The juice (minus ~a tablespoon) and zest of the lime and lemon, along with some Kosher salt were added and stirred until dissolved. Once dissolved, I added the remaining sparkling water and tasted the mixture. 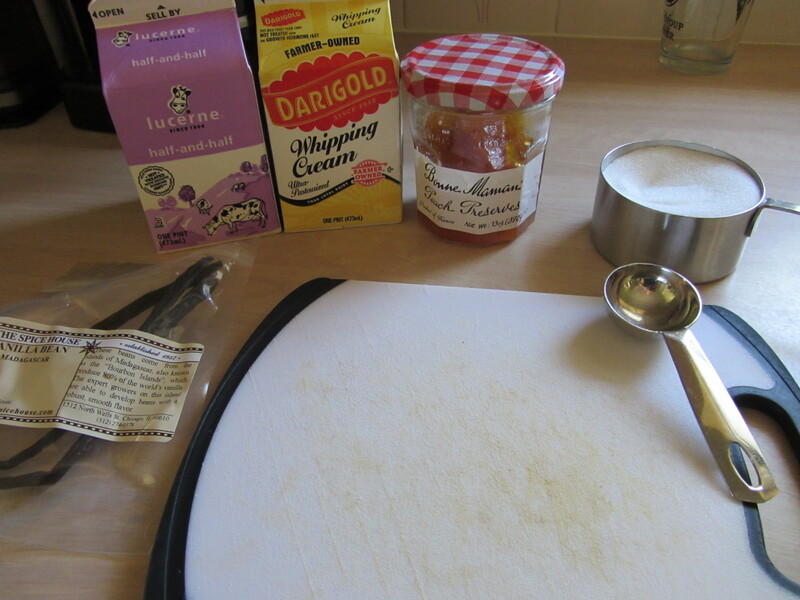 Alton said the mixture should be very sweet and tart, and I felt that my mixture could stand to have a bit more zing, so I added the remaining lemon and lime juice. 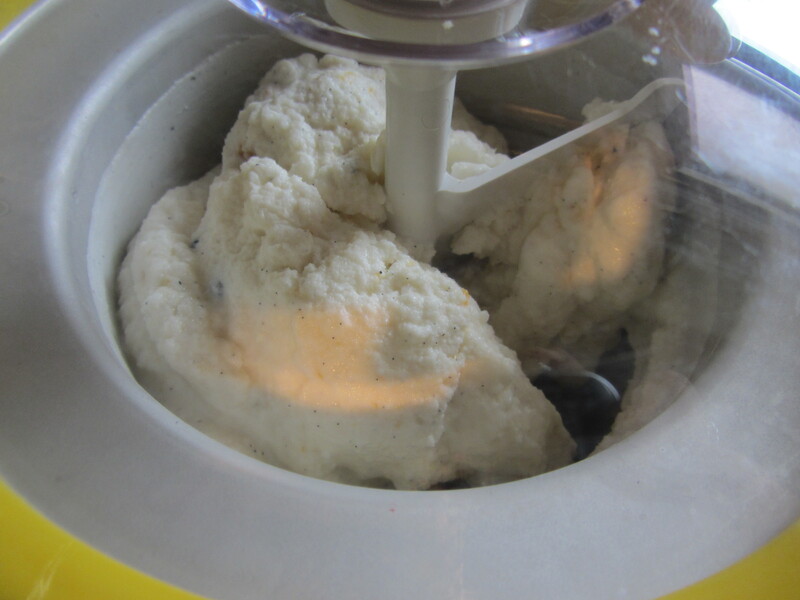 I chilled my sorbet in the refrigerator for a full day, strained it (it had some odd lumps from the lime curd), and churned it in my 25-year-old Donvier ice cream maker. 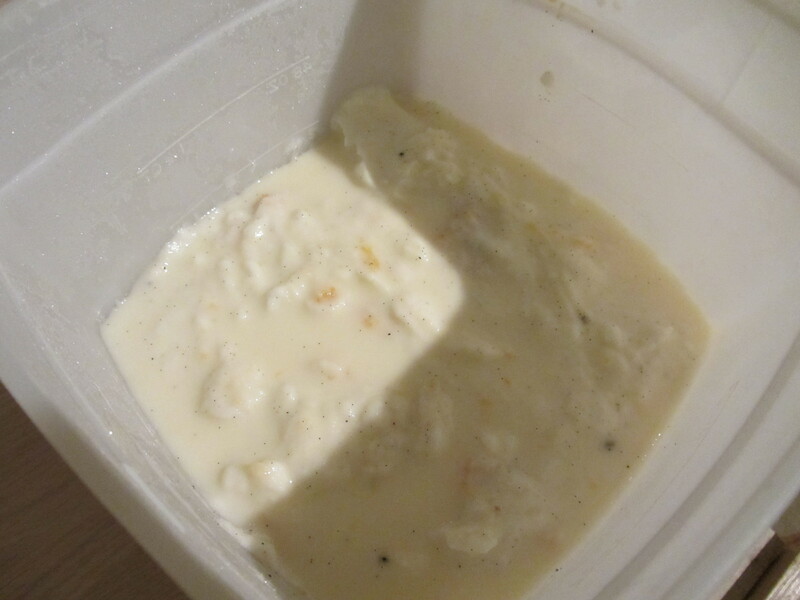 Churned and ready to go in the freezer. 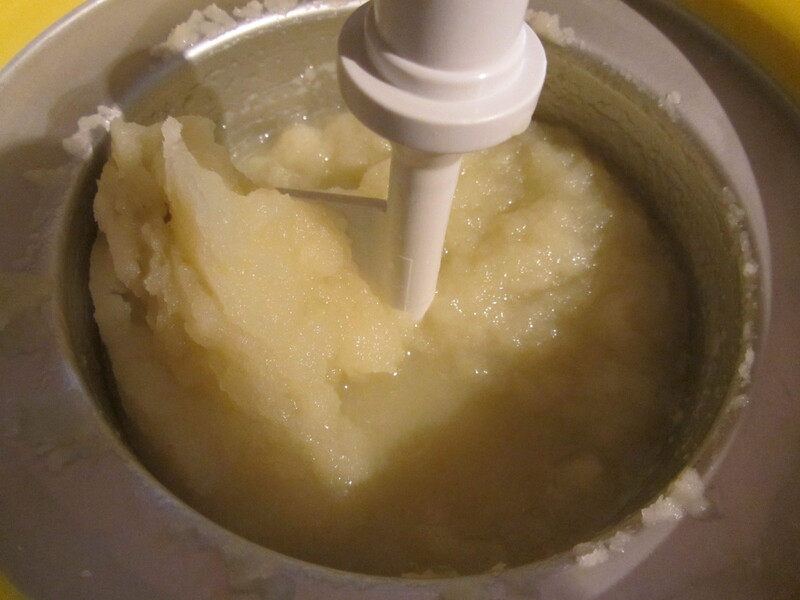 My resulting sorbet was tart, sweet, refreshing, and great for a warm day. I do wonder how my sorbet would have compared if I had used the key lime preserves. I’m guessing it would have been sweeter with more intense lime flavor. If you do want to make this recipe and cannot find key lime preserves in your area, lime curd will work as a substitution. The second recipe in episode 6 is for coffee granita. As I have mentioned in some previous posts, many of the online recipes differ from the recipes presented in the actual Good Eats episodes, and this recipe was one of those. While the online recipe calls for 1/2 C of sugar and 2 T of coffee liqueur, in the episode, Alton uses 1/3 C of sugar and 1 T of coffee liqueur. As always, I went with the recipe as presented in the TV episode. I made Aeropress coffee, diluting it with water to get 2 cups, and then added my sugar, coffee liqueur, and zest (I used orange zest). Just 4 ingredients for this easy dessert. 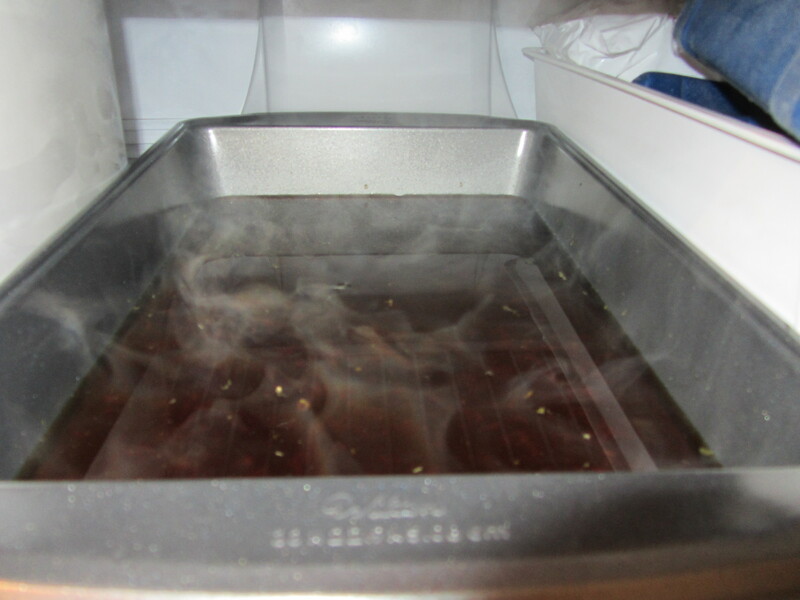 I poured the mixture into a 9×13″ metal pan, and checked it after 45 minutes. 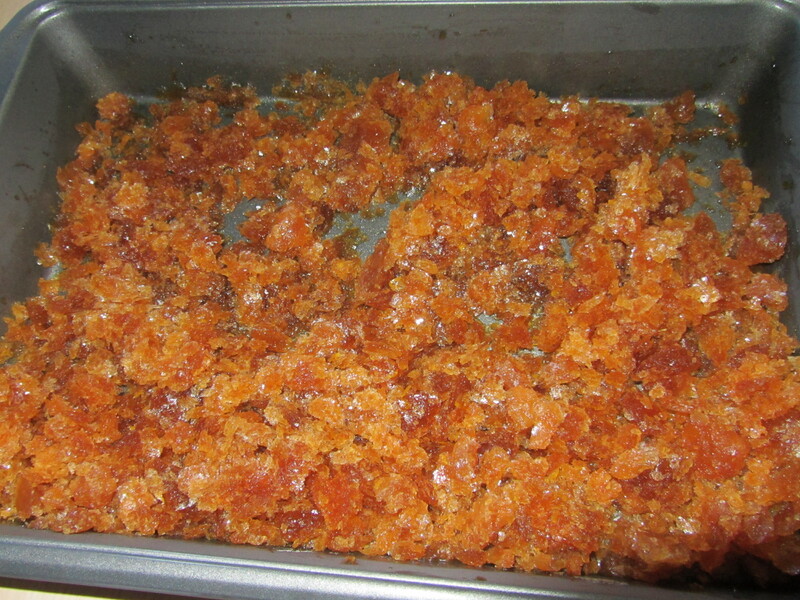 It was beginning to freeze around the edges, so I scraped the crystals with a fork. I continued this process every 20 minutes for a couple hours until the entire mixture was frozen, and then left it in the freezer for an additional hour. 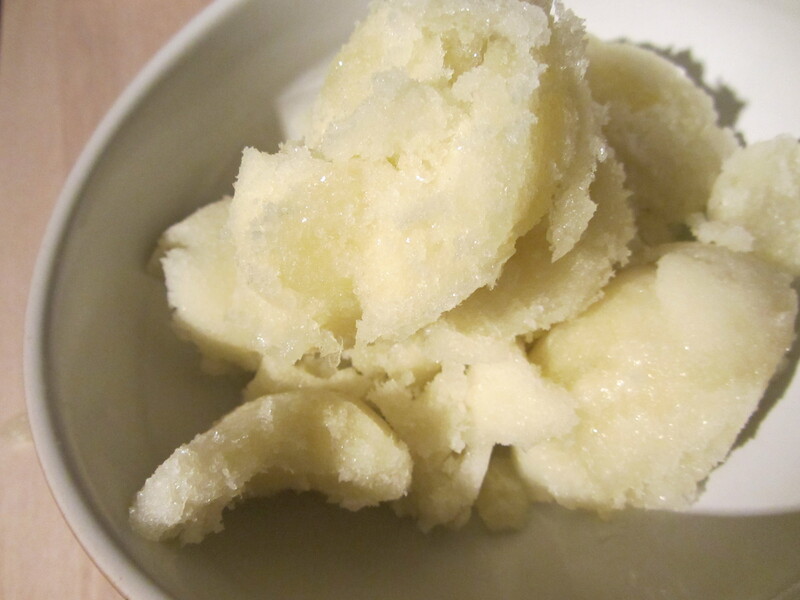 Using a fork to scrape the ice crystals gave the granita a light, fluffy texture. 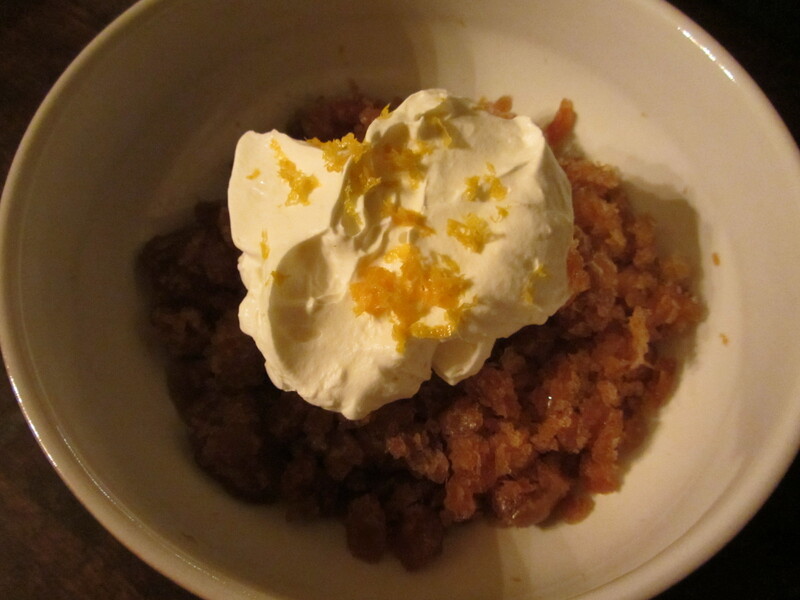 I topped the granita with lightly sweetened whipped cream and orange zest. Coffee granita with whipped cream and orange zest. Both Ted and I liked this dessert, finding it to be refreshing and light. I am glad I followed the recipe from the episode, as I think the granita would have been far too sweet with the ingredient amounts in the online recipe. The whipped cream cut the sweetness of the granita perfectly. The last recipe in the 6th episode was for vanilla ice cream. I grew up making homemade ice cream with my brother and my parents, so homemade ice cream remains a staple of Summer for me. Once again, there were a couple of differences between the episode recipe and the online recipe. This time, the online recipe called for 1 cup minus 2 T of sugar and 2 T of peach preserves, while the episode used 1 cup minus 3 T of sugar and 3 T of peach preserves. Also, in the episode, Alton added a pinch of Kosher salt to his ice cream mixture. 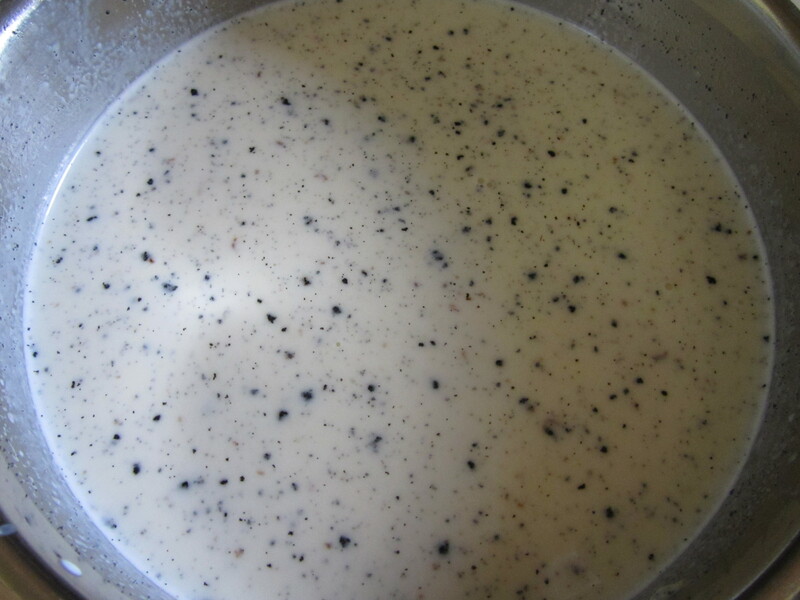 I combined the half-and-half and cream, and brought the mixture to a simmer on the stove, adding the scraped vanilla bean (along with the hull). Once at a simmer, I turned off the heat and added the sugar, peach preserves, and salt. 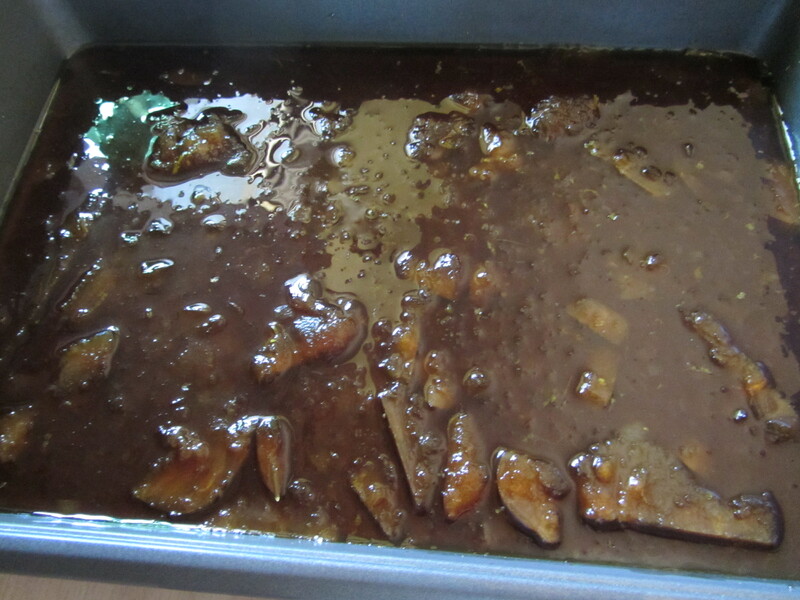 I allowed the mixture to cool to room temperature, and then placed it in the refrigerator overnight. 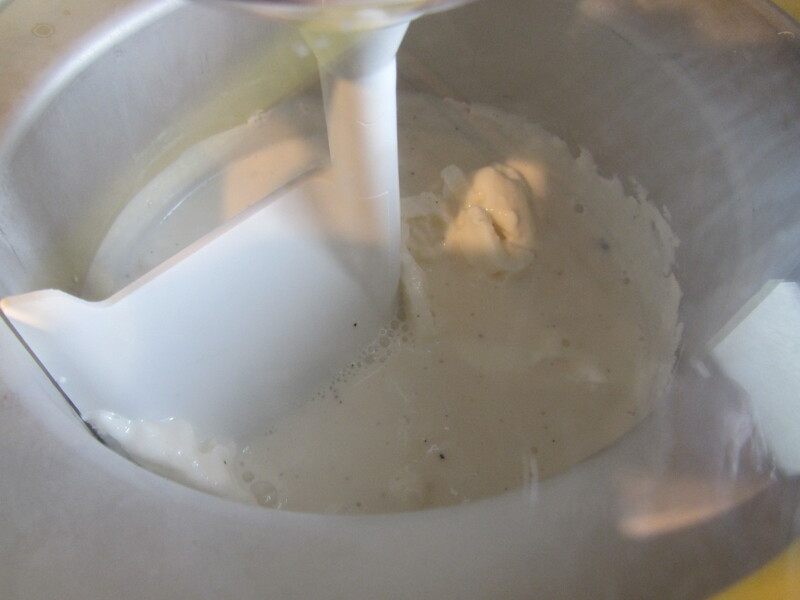 Once thoroughly chilled, I churned the ice cream in my Donvier ice cream maker, and placed the ice cream in the freezer to freeze to a harder consistency. Into the freezer to harden. This recipe made less than a quart of ice cream, and it took the two of us no time to polish it all off. 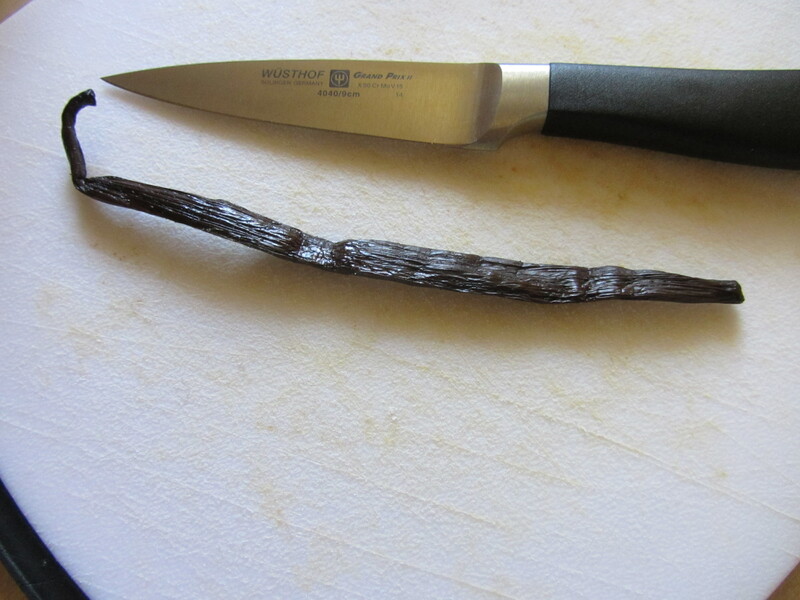 The vanilla flavor was outstanding, which was thanks to the super fresh vanilla bean I used. I do wish that my ice cream had a smoother texture, as it seemed to have tiny crystals, but I am guessing that this is more due to my super old ice cream maker than to the recipe itself. 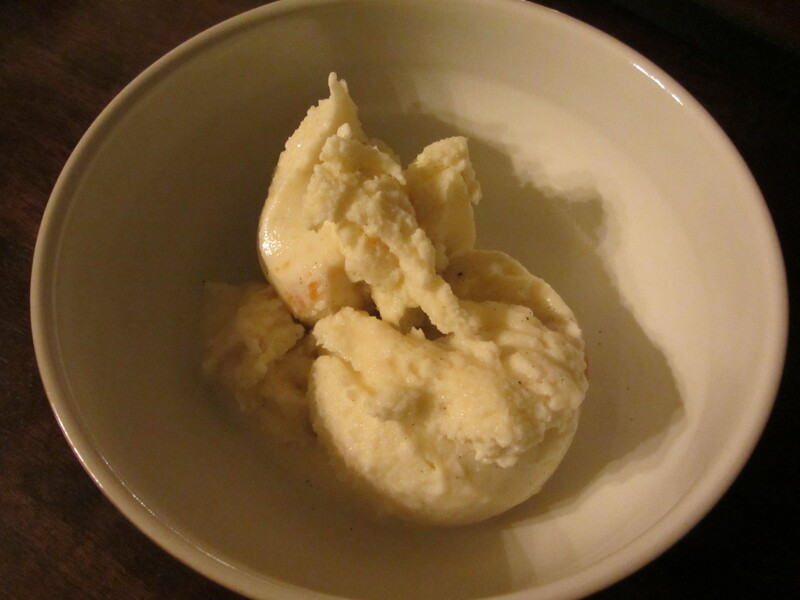 I liked the addition of the peach preserves to the ice cream, as it added just a bit of peach flavor here and there, while still leaving vanilla as the predominant flavor. All in all, this was a very good recipe for vanilla ice cream.